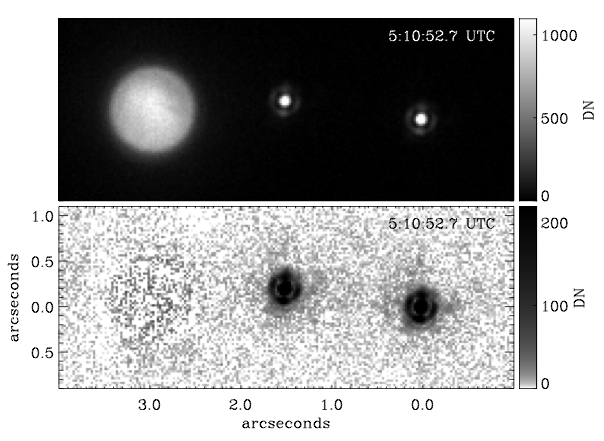 Back in December of 2001, Saturn’s moon Titan passed in front of two background stars (called an “occultation”) from the point of view of the Hale Telescope at Palomar Observatory. Astronomers used the incredible resolving ability of the 5-meter telescope’s adaptive optics to watch the event, which revealed the diffraction of the stars’ light through Titan’s dense atmosphere as well as allowing them to measure the moon’s stratospheric winds. Check it out above! Read more here on Universe Today. It’s perhaps an old video now but it’s always awesome ! !